During the early morning hours of Jan. 29, 2012, a plume of smoke engulfed Interstate 75 in north-central Florida. It ended up causing a series of multiple-vehicle collisions, resulting in 11 deaths and more than 20 major injuries. That same year on Thanksgiving morning, a blanket of fog induced a series of chain reaction crashes along Interstate 10 near Beaumont, Tex., involving as many as 150 vehicles. Two people died and more than 80 were injured. On Oct. 29, 2013, blowing dust provoked a series of crashes involving 21 vehicles along Interstate 10 near Picacho Peak in Arizona, resulting in three fatalities and a dozen injuries. Tragically, these aren’t isolated cases. 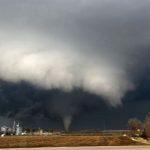 While tornadoes, floods, hurricanes and lightning all spring to mind when thinking of the most life-threatening weather events, Northern Illinois University researchers have found the weather-related vision hazards of fog, smoke and dust storms can be equally or even more deadly. Analyzing national traffic-fatality data from 1994 to 2011, the researchers discovered that fog, smoke or dust was cited as a contributing factor in nearly 90 U.S. road fatalities yearly. 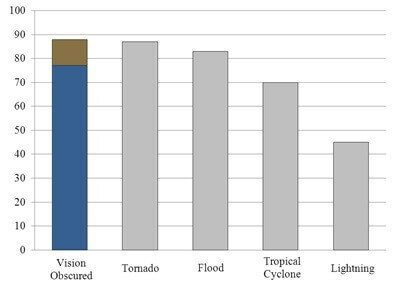 Average annual (1994-2011) weather-related vision obscured motor vehicle fatalities in comparison to other notable weather hazards. Dark blue bar indicates those vision obscured fatalities associated with fog conditions and dark brown exemplifies fatalities that occurred during smoke or dust. The scientists say that average number of fatalities is a conservative estimate, based on whether authorities checked a police report box indicating the conditions specifically played a part in the accidents. All told, the study found fog, smoke or dust hazards to be present in about 600 fatal accidents with nearly 700 fatalities annually. The new study, titled “Driving Blind,” will be published in the May issue of the Bulletin of the American Meteorological Society. It presents a nationwide analysis of fog-, smoke- and dust storm-related vehicular fatalities from 1994 to 2011. Prior research on weather-influenced vehicular accidents has primarily focused on the more frequent hazardous weather conditions of rain and snow, which are responsible for most weather-affected crashes. “We wanted to gain an essential understanding of the characteristics of less studied fog, dust and smoke events so it could be used to inform future mitigation activities,” Ashley says. The researchers also analyzed weather advisory data from 2007 to 2011 and found that nearly three of every four fatal accidents where fog, smoke or dust was a contributing factor occurred without National Weather Service advisories for the hazards. “I think that it is an important finding that can be used to spotlight possible issues with the current visibility-related advisory and warning procedures,” Ashley says. 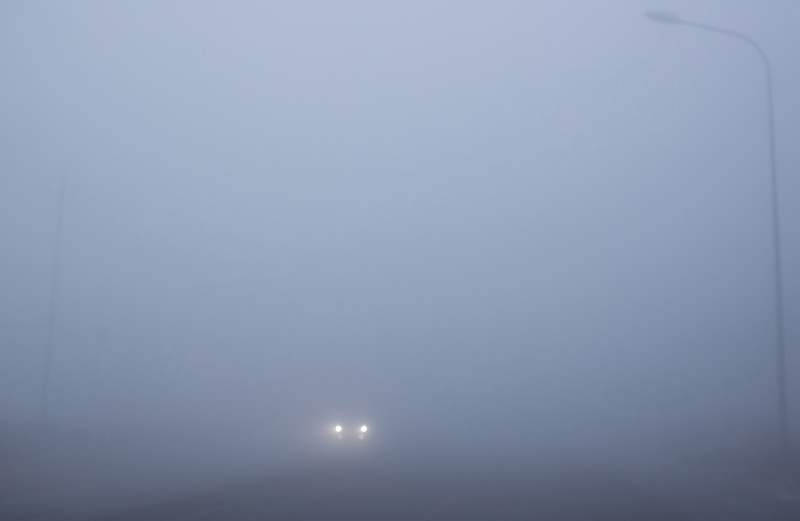 Regions with relatively elevated numbers of fatal fog-related crashes that did not have correspondingly high fog advisory issuances included the interior Northeast and mid-Atlantic and western Washington. Of the three conditions analyzed in the study, fog is by far the most common hazard, although it is still relatively rare. Even the foggiest regions of the country typically experience less than 10 heavy fog events a year. Fog is most prevalent during seasonal-transition and winter months and during the dawn and early morning hours. It most commonly occurs in California and the Pacific Northwest, the Gulf Coast, the Appalachian Mountains, the Great Lakes region and New England. California’s San Joaquin Valley, with its high volume of roadway traffic, was found to be a particular hot spot for fog-related crashes. 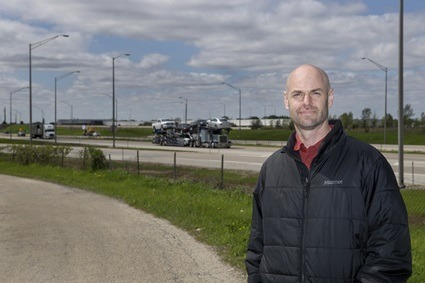 While crashes that involve chain reactions on interstate expressways tend to attract more attention, only 14 percent of the vision-obstructed fatal accidents identified in the study occurred on interstates. 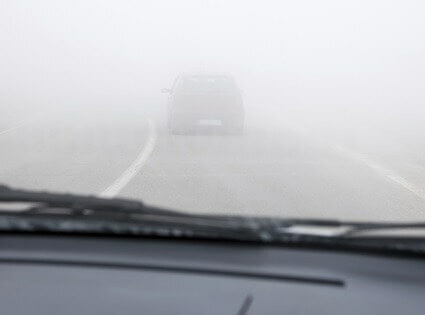 The researchers found fog-, smoke- and dust-related accidents to be most common on state highways, which accounted for 33 percent of these crashes. Ashley points to a recent accident in the northern Illinois region that occurred on a state highway. On a foggy evening this past March, two Aurora teenagers were killed in a crash with a semi-truck on Route 38, just west of Interstate 39, near Rochelle in Ogle County. “It is possible fog played a major role in that tragic accident,” Ashley says. “Despite these roadways’ lower speeds, the sheer number of roadway miles and collective traffic volume enhances the exposure of motorists to weather, environmental and other hazards,” Ashley says. Over the past decade, there has been little decline in the number of fatal motor vehicle crashes due to weather hazards.